Last year, Applied Micro announced their Gene-X 64-bit ARMv8 core at ARM Techcon 2011, and showed a minimal demo based on Xilinx Virtex-6 FPGA booting Linux ARM 64-bit to the command line. Since then, the company has made progress and just announced the availability of an Apache 2 web server implementation on their 64-bit ARMv8 X-Gene Server-on-Chip. This is the very first implementation of a fully-functional server platform running a real-world application on 64-bit ARM-based processor, said Vinay Ravuri, Vice President and General Manager of Processor Products at AppliedMicro. The platform is now capable of running a full LAMP (Linux, Apache, MySQL and PHP) software stack. Back in 2011, the company announced ARMv8 support for Linux would be developed by Redhat and be available in Fedora. This 64-bit ARM web server implementation enable OEMs, ODMs, Cloud Service Providers, Independent Software Vendors and other development partners to conduct early stage performance benchmarking and software development in parallel with silicon development. The silicon should be available in H2 2012, which means Applied Micro partners still work on the Xilinx FPGA platform for software development and evaluation. 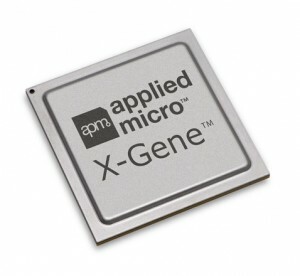 You can refer to my previous post on Applied Micro X-Gene for more information on this chip and Applied Micro plans for the future including a one hour video presentation.